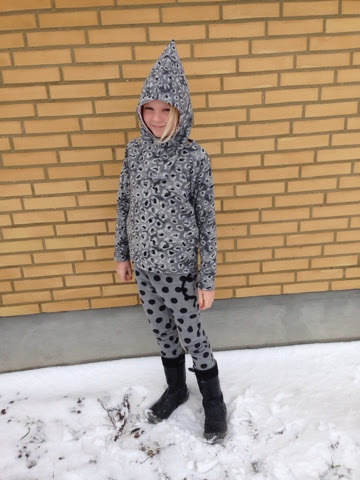 We are going skiing in Norway soon and my daugther really needed a new baclava to keep her warm. I bougth a meter of wool felt and squished a sweater and the baclava from this. I had to make a center back seam in the sweater, but thats allright. The baclava is drafted by me. I used a light rosy remnant for the lining. I'm thinking about adding a pompon in the same colour as the lining - what do you think? 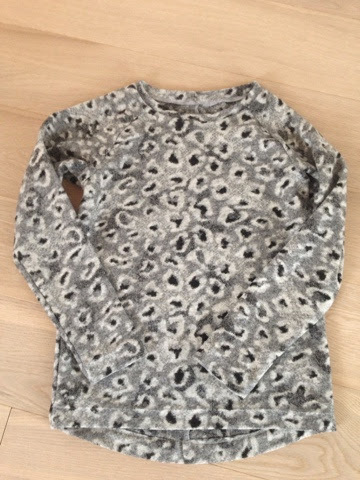 Hvor er det en sød sne-leopard du har :-) Det er virkelig en fin sweater med længden i ryggen - me like! Jeg tror du har ret - det ville bryde det grå lidt.